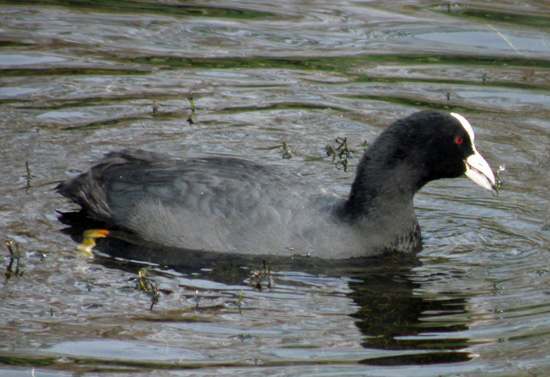 The Coot is a medium-sized crake with dull black plumage and a white, flesh forehead. The legs and feet are grey, with lobed webbing to the toes. The young have a grey-brown tinge. 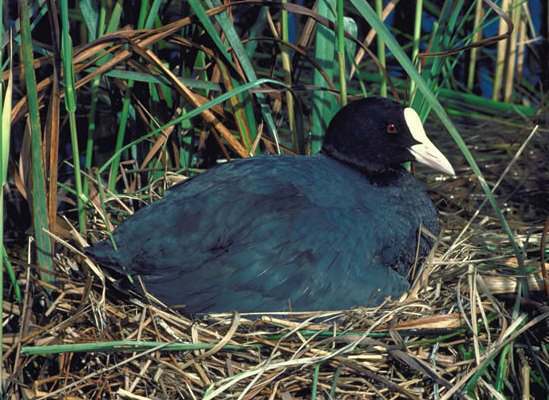 Coots are very common in Britain, where they are resident all the year round. They can be seen on ponds and reservoirs as well as slow-flowing rivers, sometimes visiting the tidal reaches and sheltered estuaries. They dive frequently. When a coot is in flight, you can see that the wings have white trailing edges.